When you are outside and want to listen to music with your iPod, what do you do? The answer is to transfer free songs from Mac to iPod for a portable pleasure. When you need to get lots of music on your iPod, how to do that? The solution is to extract music from iPod to Mac for freeing up space and making an iPod music backup. But how do you make it? This post will show you three ways of copying files between iPod and Mac. iTunes is the best way to copy music, video, photos, etc., from iPod to Mac. You can follow the steps below to transfer iPod music, photos, videos, etc., to Mac. 2. Connect iPod to Mac with USB cable. 3. Find iPod icon and click it. You will find its Summary information. 4. Click "Automatically back up" from "Backups" to "This computer" > "Back Up Now" > Also, you can restore data on iPod from this iTunes backup by clicking Restore Backup. 5. If you want to transfer contacts, calendars, mail and other to Mac, then you need to click "Info" on iTunes and tick them to sync iPod data to Mac with iTunes. Transferring data (music, video, photos, contacts, calendars and other) from iPod to Mac is easy to follow with the above way. But you may note that iTunes seems does not transfer your iPod messages to Mac. And sometimes, iTunes will not sync music to Mac for some reasons. Such problems are really troublesome. 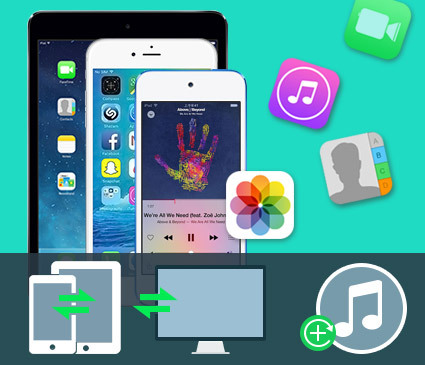 AirDrop is creative by Apple to make you copy songs from iPod to Mac with simple click, and move Mac data to iPod with easy guide. What you need is an iPod touch (5th generation) or later, a Mac with macOS Mojave, and certainly installation of AirDrop on both devices. And you are also required to turn on "Bluetooth" and "Wi-Fi" and turn off "Personal Hotspot". On Mac, click "Go" > "AirDrop" > "Allow me to be discovered by" at the bottom of the AirDrop window. On your iPod, go to "Control Center" by sliding down from the bottom of iPod > tab "AirDrop". On your Mac, choose the music you want to transfer to iPod, and drag them to the AirDrop user that showing in your AirDrop window > click "Send" to transfer the songs. Also, you can select photos, and videos to move. If you want to transfer photos from iPod to Mac, then find the photo on your iPod, and find "AirDrop" by sliding down in the photo window > choose "Everyone" to transfer the photo from iPod to Mac which is nearby your iPod. On your iPod, the transferred data from Mac will appear in the appropriate app on your iPod. For example, music will appear in your Music app, and photos will appear in Photos app. On your Mac, you will find the shared music and video in Downloads folder. 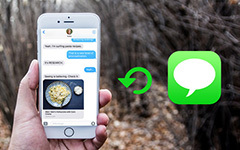 AirDrop is very easy to use. But you have to keep your Mac and iPod together, not far away from 9 meters. And your iPod and Mac must connect the same internet. 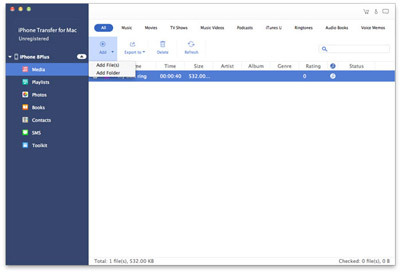 For ripping your iPod data to Mac or transfer Mac files to iPod safely and completely, we share the third way with a third-part app, iPod Transfer for Mac. 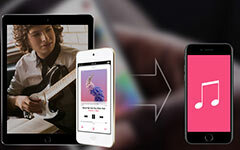 This software enables you to transfer data between iPod and Mac easily and safely with simple three steps. 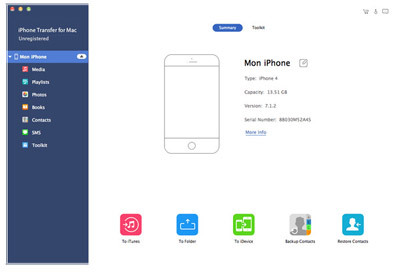 Firstly, free download this app and install and launch it on your Mac. Connect your iPod to Mac with USB cable, and wait seconds for this program to detect your iPod automatically. If you want to transfer music from iPod to Mac freely, then click "Media" > choose songs > click "Export to" > "Export to Mac" to transfer songs from iPod to Mac. If you want to sync contacts to Mac, choose contacts > "Import/Export" > "Export Selected/All Contacts" to Mac as you like. 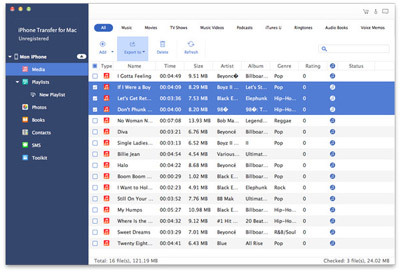 If you are willing to sync music from Mac to iPod, then this iPod ripper for Mac also does a good job. 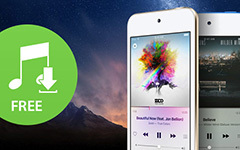 Click "Add" > "Add File(s)" to rip music from Mac to iPod. And one of the best points is that this software will convert the video or music format for being compatible with your iPod. 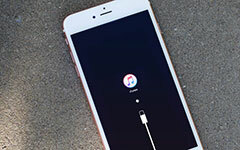 This way of transferring data between iPod and Mac is very easy, and you do not need to connect Wi-Fi. Find the best one to have a try.